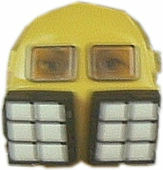 The same mask used and endorsed by professional firefighters. 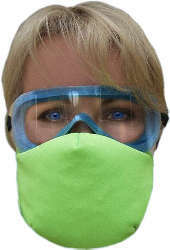 The kit comes with one Xcaper mask and one practice mask. The special edition CERT VAULT™ (Vehicle Attached Utility Load Transporter) is a hitch-mounted, mobile accessory unit that adds secure and convenient storage space on any class 3/4 trailer hitch for rapid deployment. The wheels are suspended above ground with ample clearance during transportation. Upon arrival, the running gear descends and the entire component rolls on “never flat” tires that are designed to handle any terrain. The CERT VAULT™ is made of light-weight, sturdy aluminum and can store everything from educational materials to safety kits and triage supplies. 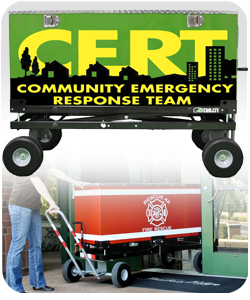 Narrow enough to fit through doorways and into elevators, the CERT VAULT™ and its contents go anywhere they’re needed. -weight capacity: approx. 250 lbs. -System includes: aluminum box with locking diamond plate lid, heavy duty GO! Chassi® with 10” urethane tires and special u-handle, taillight kit with 4 prong electrical connecter, rubber wheel chocks, hitch adapter, and the special edition CERT graphics. Certified protection for biological and chemical terror threats including anthrax, cyanide , sarin and smallpox. Ultra compact; fits in a purse or briefcase; carry it anywhere. 9v battery included, 5-year warranty, hush control, low battery indicator, flashing red light every 30-40 seconds to indicate that the alarm is receiving power. 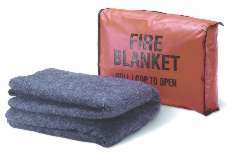 Fire Blanket Cover (EE37C) also available. Bulk Discount, purchase 3 at only $49.22 each!